For more information on Premier Cooperative, visit www.premiercooperative.com. Too much information? Not sure where to begin? Start with our Organic Starter Packet. These resources will get you on the road to going organic, and answer some of your basic questions! 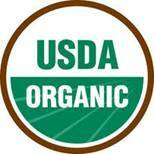 Upper Midwest Organic Resource Directory - search online! More than 70 pages of organizations, resources, certification agencies, buyers, coops, and businesses serving organic producers.